UltraCare from Metagenics is a powder based children’s multivitamin formula with a delicious vanilla flavor that kids will love, and vitamin and mineral content that parents can stand behind. 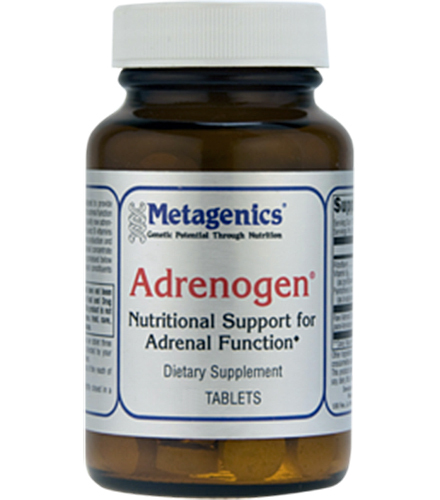 Provides a wide variety of vitamins and dietary minerals. 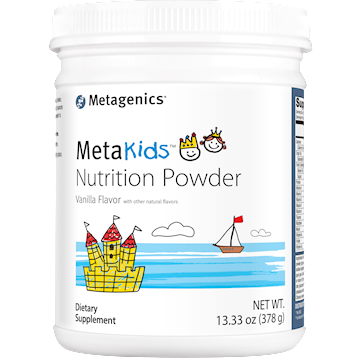 Metagenics MetaKids Nutrition Powder is a powdered children’s multivitamin with a delicious vanilla flavor that kids will love, and vitamin and mineral content that parents will love. It provides a carefully selected blend of macro- and micronutrients to nutritionally support the needs of growing children and complement restricted diets. 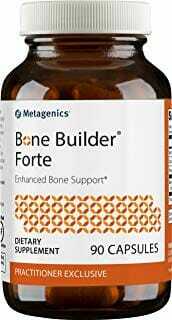 Contains vitamin A, vitamin C, vitamin D, vitamin E, and numerous B complex vitamins. 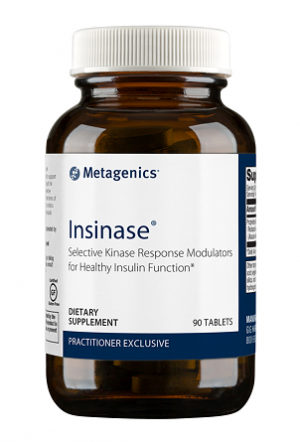 Also contains a careful selection of essential and trace dietary minerals. All-natural vanilla flavor that kids will love. Children in their developmental stages require a full and balanced supply of vitamins and minerals to grow-up strong and healthy. Many parents struggle to find a multivitamin formulation which is carefully crafted and chocked full of every nutrient a growing child needs. As if finding such a product wasn’t difficult enough, parents also need to look out for a product which is tasty enough for their kids to actually take it regularly! 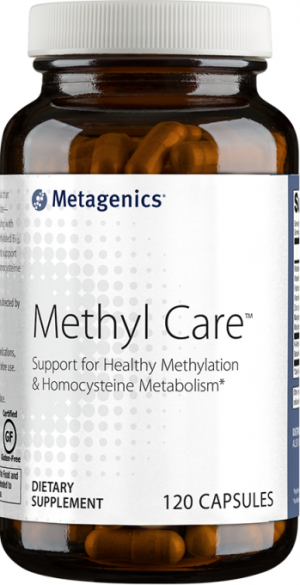 MetaKids Nutrition Powder from Metagenics meets all the criteria of a quality children’s multivitamin solution, and is sure to be loved by kids and parents alike. This all-natural vanilla flavored powder makes for a tasty beverage that goes down quick and easy unlike the numerous chalky and high fructose corn syrup flavored chewables that fill the market. Other Ingredients: Rice protein concentrate, partially hydrolyzed guar gum, organic cane sugar, medium-chain triglycerides, gum acacia, DHA algal powder (glucose syrup solids, DHA algal oil, modified corn starch, mannitol, high oleic sunflower oil, sodium ascorbate, mono and diglycerides, sodium polyphosphate, tricalcium phosphate, natural flavors, tocopherols, sunflower lecithin, and ascorbyl palmitate), 2’-fucosyllactose powder, guar gum, dicalcium phosphate, natural flavors,†† silica, xanthan gum, L-lysine HCl, choline bitartrate [hydrogenated vegetable oil encapsulate (one or more of highly refined soybean oil, palm oil, and cottonseed oil)], vitamin/mineral premix (ascorbic acid, d-alpha tocopheryl acetate, rice flour, zinc gluconate, beta-carotene, niacinamide, retinyl acetate, cholecalciferol, d-calcium pantothenate, selenomethionine, D-biotin, phylloquinone, potassium iodide, pyridoxine HCl, calcium L-5 methyltetrahydrofolate,††† thiamin HCl, riboflavin, chromium polynicotinate, and methylcobalamin), Chinese cinnamon powder, and Luo Han Guo fruit (monk fruit) extract. For children ages 4-12, blend, shake, or briskly stir about one scoop (27 g) into 8 ounces of pure, distilled, or filtered water until powder is completely dissolved. Note: This product is non-GMO and gluten free.